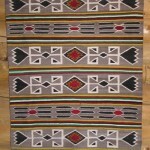 Sandpainting rugs are unique Navajo weavings, taken from traditional Navajo sacred drypainting drawings, and because the design is often on the diagonal, are extremely difficult to weave. 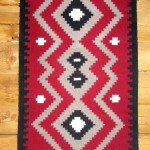 These Navajo rugs are usually square in shape, unbordered, and backgrounds are typically tan with brighter, multiple colors composing the detailed designs. 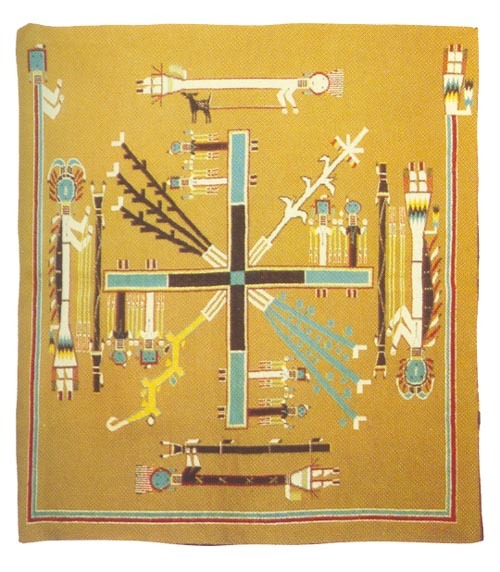 Figures and objects in the design are integral to the story, and imitating the drypainting, the Sandpainting illustration can be viewed from any of the four sides. 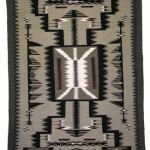 Favorite themes in contemporary Navajo Sandpaintings are the Whirling Log, Shooting Chant, Water Creatures, and Earth Creatures. 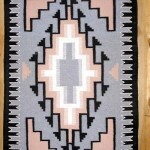 Do you know of anyone who weaves the sand paintings? 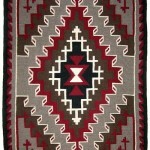 or where I might try to buy one? I have only seen pictures of them, but am interested in them.